Rightsholders including music group IFPI have written an open letter expressing deep concerns over the latest text of the proposed Article 13. According to the industry giants, the current proposal would need fundamental changes to address the so-called 'Value Gap' and could, if passed in its current form, end up leaving rightsholders worse off than they currently are. The final text of Article 13 is yet to be finalized so the EU Parliament will need to vote again, once that’s completed. However, as Article 13 mutates to address the concerns of opponents, rightsholders have been expressing concern that the changes will actually strengthen the position of major online content sharing service providers (OCSSPs) such as YouTube. Last week, major rightsholders including the MPA and the Premier League warned that as it stands, Article 13 will create a new safe harbor for services that take measures to prevent infringement. Now, even more dissenting voices are making their opinions known. 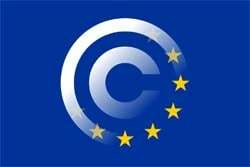 In an open letter to the European Commission, Parliament and Council, more rightsholders and content groups including IFPI – a previously staunch supporter of Article 13 – say the proposals are going in the wrong direction. “We have reviewed the European Commission text/non-papers on article 13 and we have serious concerns about the direction of travel,” the groups write. The groups say that the solution to the so-called ‘Value Gap’ lies in holding OCSSPs liable for communication to the public when copyrighted works are made available from their platforms while excluding them from the safe harbors available in Article 14 of the E-Commerce Directive. As things stand, the current proposal text put forward by the European Commission would need “fundamental changes to achieve the Directive’s aim to correct the Value Gap/ Transfer of Value”, the groups note. Underlining the predicament the entertainment industries now find themselves in, the letter warns that the liability exceptions currently on the table could leave rightsholders in a worse position than they’re in today. “Any ‘mitigation measures’, should they be offered to OCSSPs, must therefore be clearly formulated and conditional on OCSSPs taking robust action to ensure the unavailability of works or other subject matter on their services,” the groups add. Also of note is that companies that have a turnover of 10 million euros were previously excluded from the terms of Article 13. Reda says they are now included. The next trilogue is planned for third week of January, Reda adds. More information here.